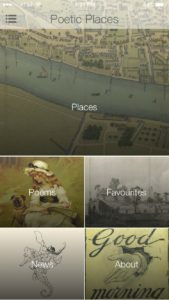 A nice app that maps poems to places in London . 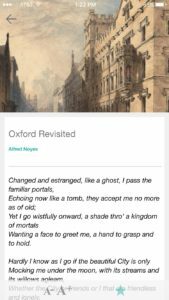 You can browse and it also has notifications so you would get an alert if you were actually in London near the spot that was the inspiration for the poem. Since I’m not in London I browsed the entries but the serendipity of getting a notification of would be nice. 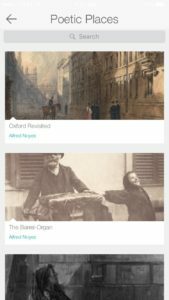 The app was created by Sarah Cole, who was The British Library’s Creative Entrepreneur in Residence. 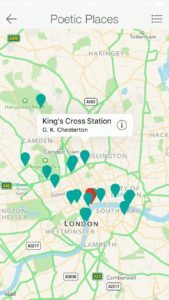 She built it using an app platform called Good Barber which has some nice features geared towards location and pricing based around notifications.